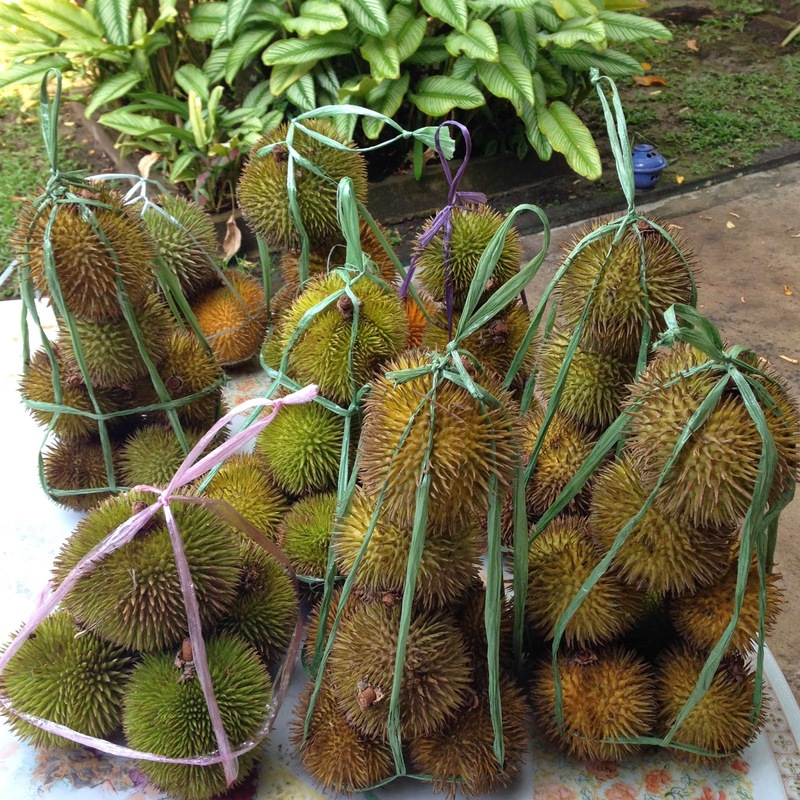 TIGERLIM.COM: Why Durian Is Called Durian? I'm a person who like to find a Question from an Answer. Once in a while my head will pop out a question from an answer then again to looking for the answer! This is what I call eat full full got nothing to do lah! Now is Durian monsoon is time to hunt durian again so that day I went to Limbang with my sister we looking for Durian Kuning... on the way to Kuala Lurah and we a talking about what type of durian we like...just passing the Shell station suddenly my head again pop out a question and I asked my sister!! Why Durian is called Durian??? It should have a reason how it named Durian. Which country started named it as Durian first!!! Then in our conversation I told my sister I had checked few country how they call Durian! !Ok let's say Durian is origin from South East Asia it must have a reason why it call Durian from their language one right!! So I think it should be Durian started call by Malays coz the rest of the country they sound like follow call the name saja!!! So again me and my sister look deeper and find why is call Durian... After 5 minutes I think we have found the answer and we think is a very strong concrete to prove it right!! Durian why is called Durian coz DURI in malay is mean THORN or SPINE!!!! So Durian... Durian... The fruits of Thorn/Spine just exactly Rambutan called as Rambutan lah!! Rambut in Malay meant Hair!!! So Hair Fruits, Hair Fruits... Is Rambutan lah!! So now you know why Durian is called Durian already or not? ?